Dr K Miraz Rahman (KMR) is a Reader in Medicinal Chemistry in School of Cancer and Pharmaceutical Science, KCL. After working three years in the industry as a research & development pharmacist, he went back to academia and obtained his PhD from the UCL School of Pharmacy. He joined the CRUK Drug Discovery Group at the School of Pharmacy in July 2009 and worked as the Team Leader of the Gene Targeting Drug Design Research group of UCL for three years. He was appointed as a Lecturer at KCL in 2012 and was promoted to Senior Lecturer in 2015, and to Reader in Medicinal Chemistry in 2018. KMR’s research activities are focused on the application of advanced computational chemistry, synthetic medicinal chemistry and chemical biology techniques to the design, synthesis and evaluation of novel drug-like chemical scaffolds as anticancer and anti-infective agents. He has been collaborating with Public Health England to develop chemical tools to study antimicrobial resistance (AMR) and discover new ways to target multiple drug-resistant pathogens. He has used a combination of homology modelling and advanced computational calculations to study bacterial efflux pumps and has invented a new class of antibiotic resistance breakers (ARBs) that are currently being commercialised. 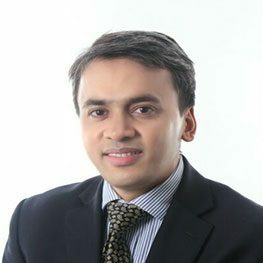 KMR is the author of 62 research publications, 12 patents and has more than 15 years’ research experience in medicinal chemistry and biophysical techniques. The Rahman laboratory is located on the 5th floor of the Franklin Wilkins Building at King’s College London and is funded by grants from industry, charities and research councils. He has experience in early and late-stage drug discovery, and translational research, co-founding oncology biotech companies Transcriptogen Ltd (2013) and Femtogenix Ltd (2015).